About Us | P&S Paving, Inc.
P&S Paving, Inc. is a family owned and operated company dedicated to providing outstanding quality services to our customers in the Fairfield and New Haven county areas since 1991. We are fully insured and own and operate all of our own trucks and equipment. P&S Paving can assure our customers that we have the ability and the equipment to successfully serve their residential or commercial paving, sealcoating or masonry needs. We specialize in Masonry Construction services of all styles and scope, and our quality of service and guarantee of excellence will ensure that your finished product will last for years to come. 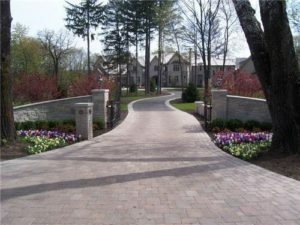 Over 25 Years of Paving, Sealcoating, and Masonry Construction Experience: P&S Paving has been servicing residential and commercial property owners throughout Connecticut for over twenty-five years. As a company, we pride ourselves on our expertise in the field, safety measures on each job, and providing a prompt professional service. High Quality Materials & Machinery: We utilize modern and well maintained equipment, as well as high quality materials for each project we take on. This allows us to provide superior results and to work safely and efficiently as we execute your project. On-Time Service and Timely Completion: We will make every effort to be at your location when we promise, and complete the project in a timely and efficient manner. If we are delayed, you will be notified immediately. Your convenience is important to us, and we believe that communication is a key factor to a successful project. Free Estimates & Consultations: P&S offers free estimates and consultations for our services. This way, you can get an experts’ view of your particular asphalt situation, hear the recommendations and the estimate, with no risk or obligation should you decide you look elsewhere. Complete Customer Satisfaction: We offer 100% customer satisfaction assurance with any project we perform. If you are not completely satisfied with the finished product, we will do everything within our capabilities to ensure that issue is remedied and you are fully satisfied.